Nu Image review day! 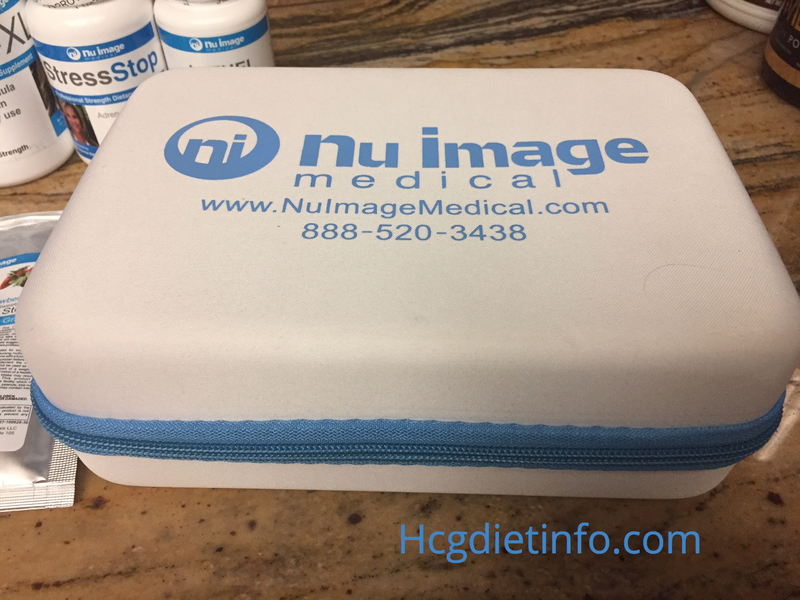 I have purchased my prescription Hcg and supplies from Nu Image Medical multiple times now, and thought I would share my full experience and review. 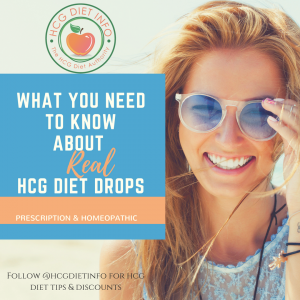 Well, they have become my FAVORITE source for REAL prescription Hcg Injections, Drops and Tablets- with good reason. It has been quite some time since I last ordered from NI, and I must say, that over time, they have only improved on their speed and service, while still offering the best quality product available on the market today. Jen’s Review of Nu Image Medical: My Honest Experience Buying HCG. Nu Image is an FDA-approved telemedicine company based in Florida, offering a complete Hcg weight loss program that comes with their Hcg kits. Their Hcg and all of their products are made in the USA, which I love. This way, I know it’s genuine and made under FDA regulations for my safety. 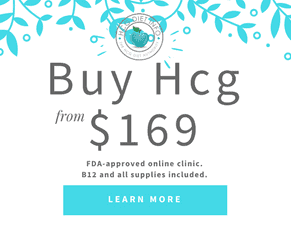 They are also renowned for their extremely high standards, which exceed those required by the FDA, and are the only Hcg supplier that actually works WITH the FDA to ensure this. As someone who greatly values safety and who has seen far too many cases of illness and bad reaction to cheap overseas Hcg, I salute Nu Image for their devotion and caring when it comes to their clients. This company, has by far, become the most efficient source when it comes to ordering Hcg. I purchased from the link on the Buy Hcg Injections and Drops page so that I would have the exact same experience as my readers. 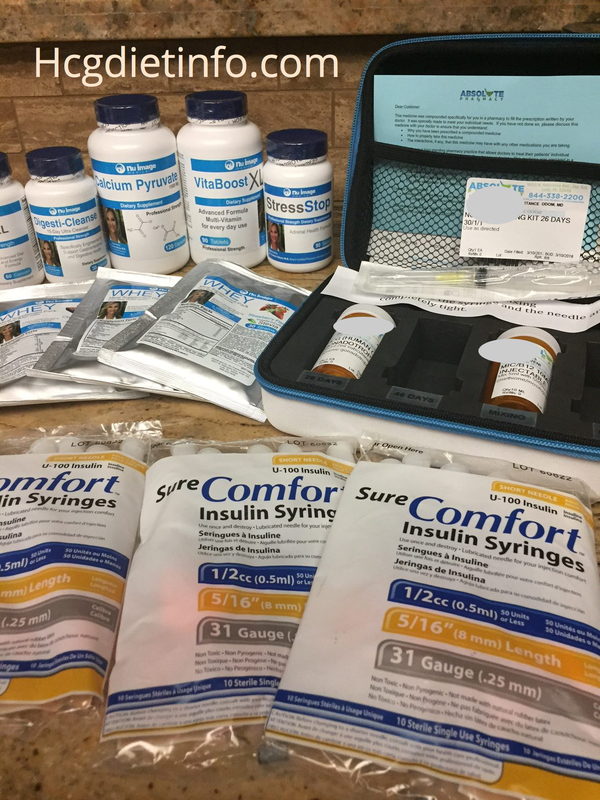 I opted for a 2 month supply (the price was a bargain compared to weight loss clinics) and selected several add-ons, including the Lipotropics and Vitamin B mixing solution. You don’t have to order these, but personally, I love them and use them even when I am not on the diet. They offer great energy and I have far better results on the Hcg Diet when I include these. They offer injections, drops and pellets. I prefer injections myself so that is what I ordered for this round. It took me about 10 minutes to fill out the online health form after selecting my products. The form included your basic health inquiries; overall current health, current medications, past health history, etc. When I was finished filling out the form, I was presented with an option to “Enter the Nu Image waiting room” for an immediate video consult with the doctor. I opted for the second choice, which was to have the doctor call me. In about an hour, the doctor called. I was pleased this was a doctor and not a medical assistant. He introduced himself as the Nu Image Medical Doctor, and explained how the process went. He confirmed the same questions I had been asked on the online form, double-checking that I had no medication allergies, etc. After everything was complete, he said he would be approving my prescription for Hcg and that it would be shipped out the next day. 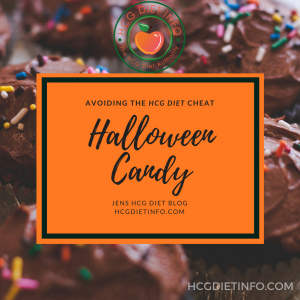 The doctor also directed me to the online client support that had all the information about how to do the Hcg Diet before confirming everything that I wished to add to my order. He asked me if I had any further questions and wished me luck! 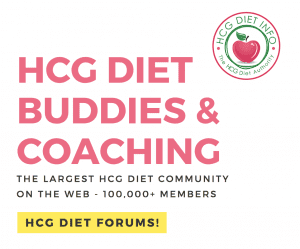 Voila- such an easy process, yet I was very happy that I was actually being guided through the Hcg Diet under a real doctor’s care. Even as an experienced Hcg Dieter, this still brought me comfort. Yet, I didn’t have to wait for an appointment, make an office visit, go through my insurance, pay a copay, etc- it was all handled in less than a day, and for a smaller amount than my usual grocery bill for the month- I’ll probably save money this month, in light of that! While Nu Image has always been known for their efficient processing and shipping time (mine was delivered in 5 business days,) they are certainly one of the fastest Hcg sources I have come across. 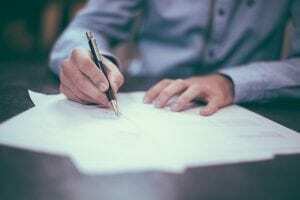 Near-instant processing and approval, they have introduced a system that allows the doctor to immediately (or in some cases, shortly after) speak with the patient for approval. When I placed my order, there was an option to “enter the doctor’s office” which was an instant video conference with the doctor for immediate approval. I also had the option to receive a phone call instead. Since my toddler had just woke, I needed a few minutes before I could speak with the doctor, and opted for the call. Sure enough, about an hour later, I received a call from the doctor himself, kindly explaining that he was the official Nu Image doctor, who would be handling my application process and prescribing the Hcg if suitable for my situation. He explained how the process worked; how he would be asking me a few basic questions about my health, including any past health concerns, and allergies or even genetic risks. While basic, it was still thorough enough to make me feel I was in good hands and under the care of a real doctor. As for Nu Image shipping time – I had my Hcg and all my necessary supplies in 5 days. Delivered to me, with a “signature required” hand-to-hand delivery. It was also delivered in a very nice, reusable, insulated box with a zipper and inserts for the vials. I have included a photo below. All in all, I was extremely impressed with the process and the way the doctor handled my case and explained everything. Much appreciated! I received individual vials of Hcg, unmixed. I received a liquid vial of my bacteriostatic water mixed with my Vitamin B, and all the correct syringes I would need. All vials had a valid prescription on the containers, with my name on them. I received the additional 6 Nu Image supplements I ordered, including Calcium Pyruvate, VitaBoost, StressStop, Digest-Cleanse, and JetFuel. I will wait to test these out after my first week on the diet. 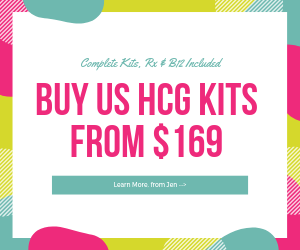 It was nice not to have to order anything separate from another source and for those new to the diet, I highly recommend getting your Hcg as a kit like this, so you can be certain you have everything you need, and the correct syringes, quality Hcg, etc. I couldn’t very well offer a thorough review of Nu Image Medical, without trying their client support after ordering. On different occasions, I called to request direction and advice and both times, I was met with friendly and professional representatives. They keep a full business day’s hours, Monday through Friday, and I was asked if I needed to speak with my doctor or if they could help me with something. I loved that I had access to the doctor if I needed him! Each time I called, their staff were extremely knowledgeable and more than capable of answering my questions, providing the resources and direction I needed. I was very happy with their customer service all the way around. Nu Image Medical has surpassed all my review standards, and has once again become my 1st choice as an Hcg supplier. The quality of their Hcg continues to surpass even the standards set by the FDA. They understand that their clients want their orders processed fast, and shipped even quicker. As I said, my request was processed in the same day, and my interview with the doctor was shortly after I placed my order. 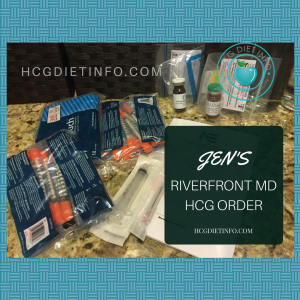 I had my Hcg and all of my supplies delivered to my front door, in 5 days. That is by far, the fastest in the industry. I also greatly appreciated having the access to a medical doctor as well as staff that was familiar with the Hcg Diet and happy to answer all my questions. Overall, this has been a pleasant experience and I look forward to ordering from them again. Nu Image Review Update: I have lost 12 pounds in the first week using Nu Image Hcg and Lipo/B12! In two weeks, I have lost 18 pounds total. 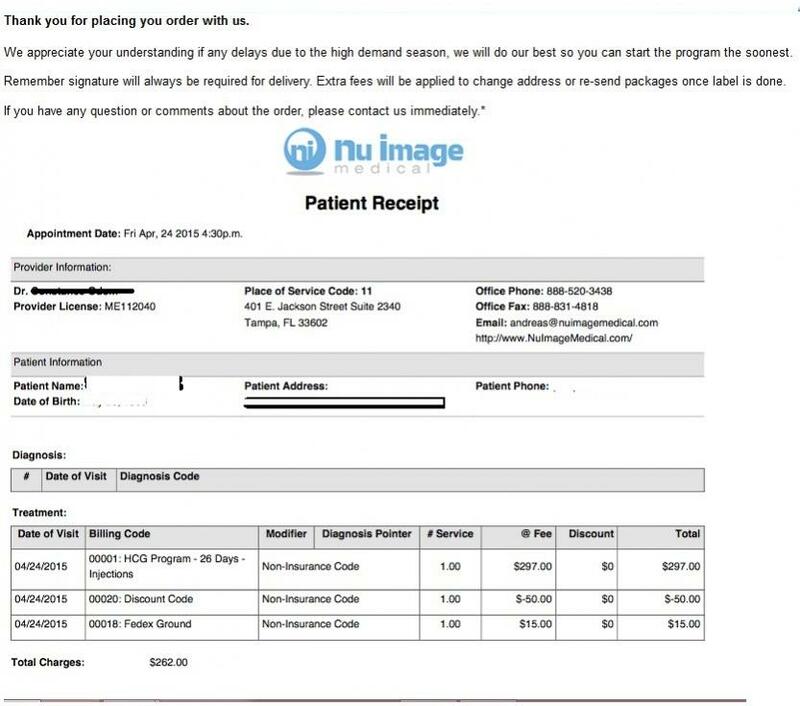 How to Order from Nu Image Medical with this coupon code is shown in the pic below. 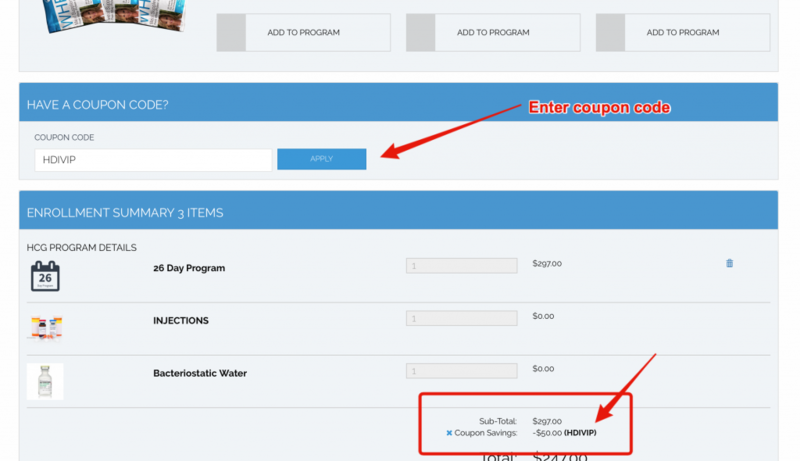 If you are having problems using their coupon code and getting the discount, here is my complete guide to Nu Image coupon code usage. Having been confused by purchasing injections and mixing, etc, I saw an ad at the top of this post for a kit. Clicking through the links I eventually found myself at Hcg Diet Info and Nu Image Medical. Has anyone ordered from them? It looks incredibly easy to administer. For $249 you can get injections with B12 pre-mixed and all supplies. It’s also made in the USA which I like and feel safer about. I went with Nu Image Medical. It was the third place recommended on this website [Hcg Diet Info]. for people who are new to injections and aren’t comfortable ordering mixing supplies, syringes, etc. (the other 2 companies were Diet Doc and Riverfront MD). I got the 26-day kit for $262. The price on the website for first-time customers is $297, less a $50 discount from Hcg Diet Info plus Fed-Ex ground for $15. Total w/discount and shipping is $262. Much pricier than ordering from overseas, but almost half the cost of a local clinic run by an HCG doctor, and much safer. Plus, I feel confident the HCG is higher quality after my research. I paid extra for A.) the peace of mind, B.) to be able to speak to a doctor, C.) knowing it was real prescription RX hcg, D.) is made in the USA, and E.) I would have it in 2 days. B12 – 1 vial of b12 to mix the hcg (cyanocobalamin 1000 mcg/ml 10 ML (I’m reading now that B12 isn’t necessary but good for extra energy. Next time I will try buying some bacteriostati water to mix instead next time, from a local compounding pharmacy.) UPDATE: You can ask Nu Image to just send you bacteriostatic water to mix and they will. You will still get the B12 to inject separately if you choose. 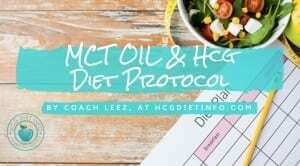 A detailed HCG diet manual with tons of recipes for each ‘phase’ (downloadable PDF document). to verify I was the patient and to ask a question about one of my medications. The prescription was filled on Monday, I got an email with an invoice, (see below) and tracking number. I had my order Tuesday morning, delivered by Fed Ex ground (I’m in Florida, and so is the Pharmacy). Someone must sign for the package. I received the vials in prescription bottles with my name and address on it, and the prescribing doctors name. All very up-and-up. If you went with Diet Doc hcg, I’m curious if you were happy with the experience. I would personally recommend Nu Image if you have not decided yet. My husband and I have been on the protocol since April 29th, he’s down 19 pounds, I’ve lost 14lbs, after 13 days of the 500-calorie diet. After adjusting the dose up and down with some minor hunger issues, we are both feeling great, no desire to eat. We’re ordering more so we can do a long round (40 days). Nu Image sells a 46-day program (two 5000iu vials plus double the supplies for 2 rounds) for $397. They have a link for refills, no doctor call or forms to fill out, except your credit card info (they don’t store it). No, I’m not getting any referral bonus. That’s my 2 cents, hope it helps. Good luck! Nu Image Review and Image of Purchase Receipt. Protected by copyright, Hcgdietinfo.com for the rights of the individual who shared this with our readers. 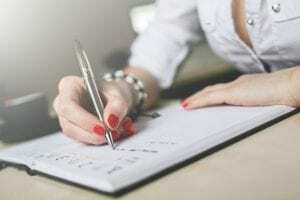 I asked to share the testimonials and “love letters” from HDI readers that have ordered from them, so I could share them in my Nu Image review. Some of these testimonials are also just from friendly emails I received, raving about Nu Image Hcg, supplements and service. “Great video! So happy I follow you and all your videos….so happy I bought from Nu Image Medical….on my first Round VLCD day 25 lost -26lbs as of this morning!!! Keep up the great work. XO” ~Terry L.
“I am not new to the hcg program and have had success in the past with a different provider. What sets Nu Image apart is that not only did I lose 20 lbs. in less than a month with your support, I am maintaining beautifully and even continuing to safely lose 2 weeks into phase 3. I truly appreciated your prompt response to all of my questions, and the recipe guide was a huge asset in getting me through this time around. 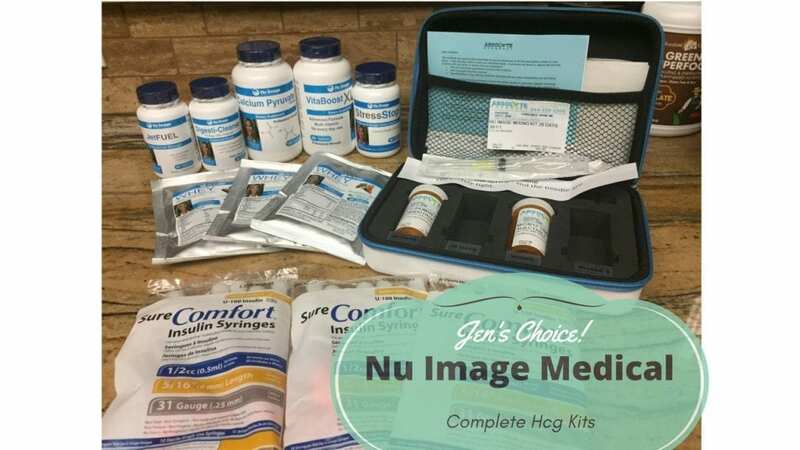 I felt that Nu Image gave me not only the tools to lose initially, but the education required to continue this journey for years to come and keep it off.Thank you so much,” ~ Stephanie S.
Not only are the pellets GREAT, but the way they call you!!! I had a question yesterday and got right to the nurse!!!!! Wonderful!!!!! I am on the third day of hcg pellets from nuimage and I am LOVING them. I can say i haven’t been hungry only eating 500 calories for 3 days!!! GREAT QUALITY! This is my third round. 2nd was from escrow drops and I was hungry ALOT!!! Thank you thank you thank you for all your info!! You are VERY helpful!!! ~Cyndy D.
Hi…I did the Hcg diet 5 yrs ago! Over the last year 1/2 the FDA has made it almost impossible to get the drops! I used to get my drops thru chiropractors, they were unable to get them anymore… how do I know for sure these drops are going to be legitimate? Hi Jen: I’ve done HCG as drops but am interested in doing an injection program. I”m confused about the site’s pages on injections, one of which seemed to indicate that the shots should be IM and the other of which was specifically directed to sub-cutaneous. Since there’s no one here who could give me a daily shot, and I suspect trying to do my own upper-buttock IM shot would be difficult to pull off, I need to know if sub-cu does in fact work. Also, it would be helpful to know which you use, and if IM, how? Some authors here have been advocates of intramuscular. Personally, I prefer subcutaneous and as I just wrote to Nancy, I am very comfortable with this approach for many reasons. First of all, the needle for subcutaneous is a tiny insulin needle and I rarely feel anything more than the pressure of a finger poke. I can also do this myself without issue and it takes 2 seconds. As I said to Nancy above, I know the Hcg is in my system with this approach because I can take a pregnancy test and it will come up positive. That in mind, I don’t see a need to go with intramuscular injections for Hcg, personally. Your affiliate link is bringing up a 404 error on their site, so it looks like your affiliate link is broken. Most people are started at 125 for their injections but always always always check with your doctor/nurse practitioner from the supplier you have gone with. Some will have you start significantly higher and adjust down if you need it. Personally, I am not sensitive to dosage and do just fine at any number, from 125 to 200+. When ordering through Nu Image through the forum how do you get the discount. I am seeing a price of$397.00 for 46 days is that correct. HI Jen. ‘m trying to order the 46 day supply of injections. They have all these different options of things to add to cart. What all exactly do I need to buy? This will be my very first time trying this diet. As for ordering- everyone is different, so it’s hard for me to say exactly. They will send you the B12 for free. I loooove Lipo injections myself and use them consistently even years after my diet has been over. They are not necessary though. I just love the extra metabolism boost and the health benefits that come along with all the extra vitamins. Their appetite suppressants are good- if you are getting over some comfort food cravings and trying to break some habits, those can really be useful. I don’t recommend taking them throughout your entire diet though. Just as needed until those habits are long gone. Is there anything you are specifically curious about? Hey any advice on getting your coupon code to apply? I also confirmed that both codes haven’t expired and are still working. HDIVIP and WELCOMETONU should be good through 2020. Hopefully they will do a reset or whatever is needed to allow you to order, or you can call them and tell them the code for the discount too. Hi Lena! I’m so sorry for taking a few days to get back to you- usually I can answer within a few hours but I’ve been moving and only got internet an hour ago! Yes, those are discounts for the real stuff. I ONLY recommend sources that sell authentic Hcg. I will NEVER recommend sources that sell counterfeit, low quality/potency or expired hcg (which includes the overseas companies.) I am EXTREMELY particular with anyone I recommend, and I make them send me the same 3rd party analysis certificates that the FDA requires from them. Everything is made in licensed USA pharmacies and is the highest quality possible (over 100% potency.) You can see the certificates on my “buy hcg” page. I am not having as good as a response time from NuImage as you did. I ordered mine a week ago, and I have yet to receive a shipping confirmation. I did pay the extra $20 for two day shipping, and I do realize it was a holiday weekend with a special running, but this seems like a long time to wait just for shipping, let a lone the two days to ship. I am very disappointed since I read on their site they ship really fast. That is not my experience thus far. I don’t know what to think. It would be nice if they sent you some sort of confirmation with an expected mailing date, but nothing. I did finally reach out to them and they said there is a delay because of the holiday special. Can you tell I am having a pitty party over here. I really wanted to get started this week, because I am now in danger of running into an event the third week of October. I guess I should have planned better, but this is my first time and the promised fast shipping is what sold me. Wish me luck, my youngest daughter is giving me a really hard time about HCG. There is so much negative information on the web, most of it really old, but enough to make her it is going to negatively affect me. I am really struggling with my weight due to menopause and I am hoping this helps. I’ll be getting married in a few months and I really want to look my best. I need to lose about 40 lbs. Cheri, I’m sorry you had a delay on your order, I know how frustrating that can be when you finally decide to go ahead with something important and circumstances force you to change your plans. I hope things are going well for you now. The good news is that HCG works really well for that menopause weight when everything else is a major struggle or fails completely. Your daughter may come around when she sees how comfortable and healthy you look and feel during the weight loss portion of the protocol. It still amazes me that you can lose weight and feel good during the process. That was never true for me on any other plan. HCG Triumph Review: Best Hcg Drops on the Market?